New Delhi, Jan 24: Actor-TV host Rannvijay Singha, who has a daughter, says being a parent is about perfecting the balancing act. Asked how is he balancing between work and parenthood, Rannvijay told IANS in an email interview: "Being a parent is about perfecting the balancing act. I see my wife doing it all the time." The 34-year-old television personality says fatherhood has changed his life "completely". "I have more patience. I watch more cartoons. And I can melt like butter on a hot griddle when my daughter throws her arms around me," he added. 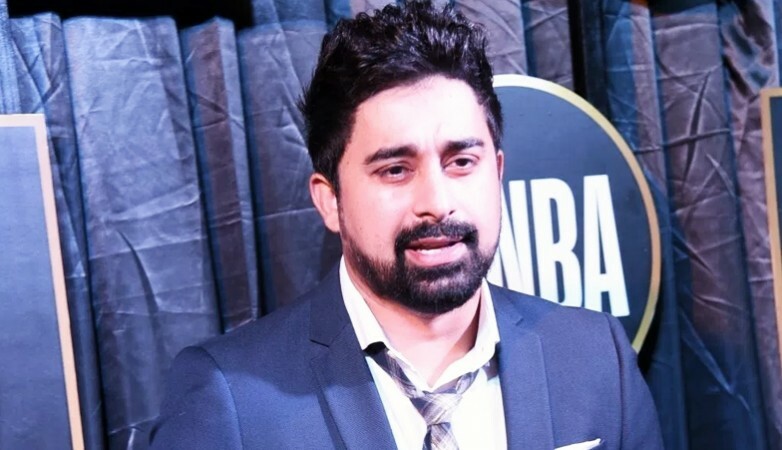 Rannvijay is popular for his stint on the small screen with shows like "Roadies", "Splitsvilla" and "Troll Police". Even as he is geared up to explore the web series platform, he says the television format has been in his favour. "It is a format that worked for me. And it still works because it is unpredictable and extremely exciting and engaging," he added. Rannvijay has also worked on the big screen with films like "Mod", "Sharafat Gayi Tel Lene", "London Dreams" and "Action Replayy". Is his work on TV keeping him away from the silver screen now? "Not really. Had there been something as exciting, challenging and a project that would have taken me away from my comfort zone, maybe I would consider it," he said. The actor, who also endorses accessories brand Voylla, says he is not lackadaisical about what he wears. "I am not always conscious about what I wear but I am not lackadaisical either. Style for me should be effortless. If you have to put too much effort to look stylish, you are probably doing something wrong," he added. But are men opening up to accessorising? "Absolutely. From all backgrounds, profession, status, more and more men are now open to wearing some kind of accessory that makes a statement, tells the world who they are," he said.